Over the last couple of years I've found some amazing budget makeup brushes, that are not only cheap as chips but top notch quality too. I'm a firm believer in the fact that (while they can be extremely difficult to find!) there are good quality budget brushes out there, and you don't necessarily need to fork out a small fortune for decent tools. Some of my favourite brushes include these Real Techniques dupe brushes which you can find on eBay and Amazon for less than £2 each, and this little kabuki brush that I found in Primark for around £3. 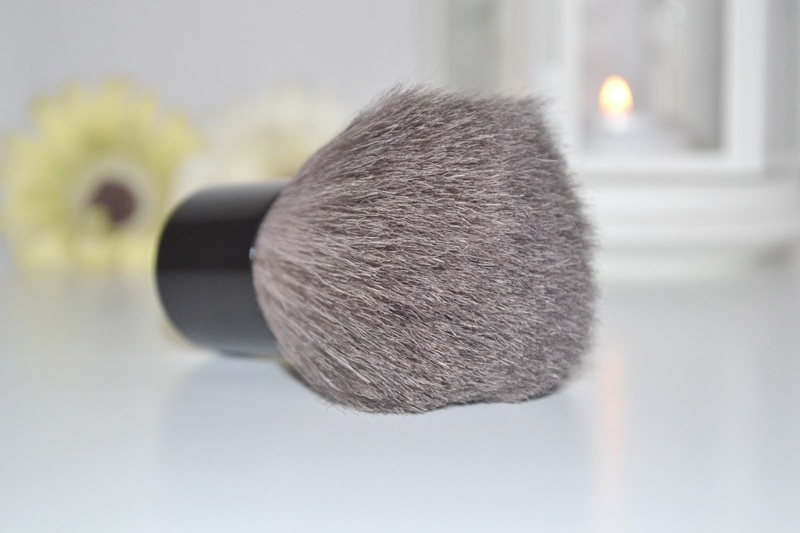 My latest makeup brush bargain is this bronzing brush by QVS (QualityValueStyle), but while it's inexpensive how does it perform? I've spotted QVS makeup tools in Superdrug and in supermarkets before but this was my first time giving them a go. QVS states this bronzer brush should be used to 'brighten and define facial features and décolletage' (that's the chest and collarbone area to us common folk). 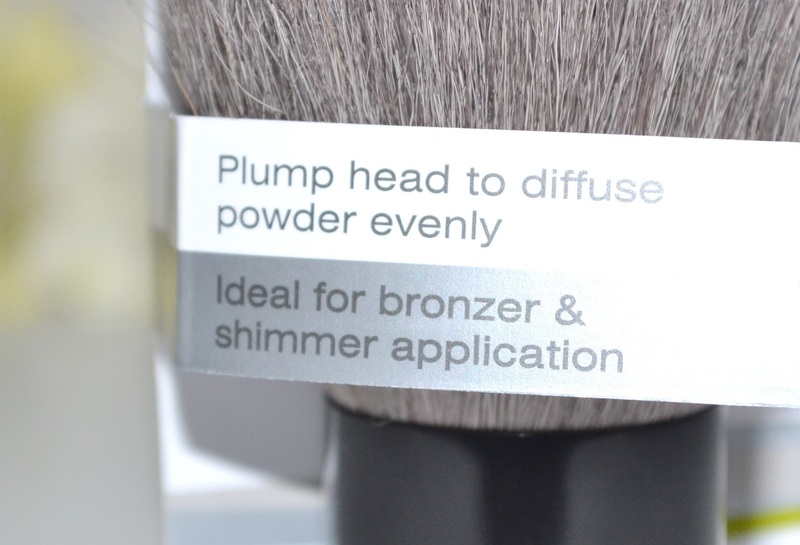 The full and fluffy head means it's ideal for general bronzing and applying setting powder as it disperses product nice and evenly over bigger areas- although I think you'd need to go in first with a contour brush if you really wanted to add some definition to your face. The natural bristles aren't as nice as the super soft synthetic bristles I'm used to with my other budget brushes, and while it's not overly scratchy it's definitely not the softest brush I own. Overall I'd say this is an ok brush, it's not too expensive and it feels well made with very few hairs shedding when it's washed or used. My advice is that when you're buying budget brushes keep an eye out for synthetic bristles as they do tend to be softer than natural ones- I prefer my Primark kabuki to this for this reason although the QVS one is a better size. 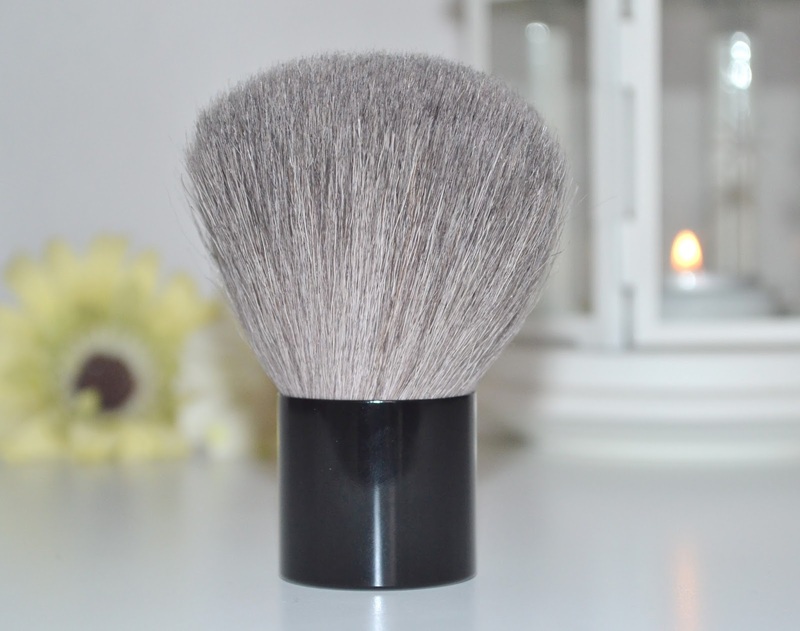 I'm probably going to keep this as my handbag face powder brush, it does the job but the bristles aren't soft enough for it be one of my favourite budget makeup brushes. Have you heard of QVS? I have a QVS brush that I have had for years and years. It's a duofibre brush, like the white Real techniques one. I use it for bronzer and it's been washed dozens of times. I also have a little 'hang nail' clipper, that's from the same brand. I guess I bought them both in Superdrug, but cannot remember now. I'd not heard of this brand before but sounds like a great multitasking product!